Given the importance of the start, it’s not surprising that drivers are often at their most focused on the grid. Some drivers prepare for the beginning of a race by creating a mental image of the start that they want to make, and, as a result, teams will often try to protect their drivers from overly intrusive media attention on the grid in case it interferes with their concentration. 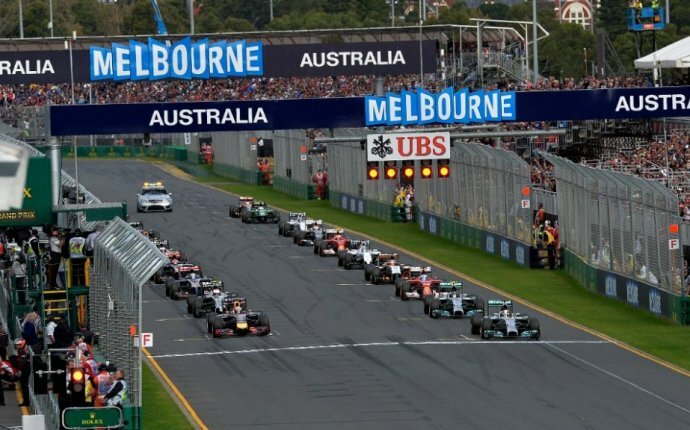 The race start procedure is strictly timetabled from the time that the pit lane opens (30 minutes before the race start) to the time that media and other non-essential personnel must leave the grid (10 minutes before the start). In this period, each team’s engineers and mechanics will be working through specific procedures to prepare their cars. A Formula One car's power unit is started as close to the start as possible because once it’s fired up it’s vital that the car isn’t sat still for too long. This is because the majority of an F1 power unit’s cooling comes from airflow whilst the car is in motion and, if left stationary for too long, the heat generated can cause damage to the rest of the car, especially at hot races. All mechanics must be clear of the grid within 45 seconds of the one minute signal being issued. Then, 15 seconds later, a green light is displayed on the starting gantry to indicate the start of a single formation, or ‘warm up’, lap. A driver’s actions on this lap are vital to his chances of making a good start - he must ensure he gets enough heat into his brakes and, in particular, his tyres. This is done through hard acceleration (‘burnouts’) and braking and by weaving back and forth across the track, and whilst from the outside this behaviour may appear random, the drivers are usually following a strict plan agreed with their race engineer to get everything to just the right temperature. The drivers also use the formation lap to select specific engine maps and clutch modes to ensure they get the best getaway possible. As you might expect, no overtaking is permitted unless another car has an obvious problem. For the driver in pole position, controlling the pace of the formation lap is vital as he does not want to complete the lap so quickly as to be left sitting on the grid for a long period as other cars take their places behind him. This is because while his brakes and tyres will cool, his engine temperature will rise. Once all the cars have come to a halt on the grid, and the course car and medical cars are also in position further back, the start sequence is initiated by the race director. The drivers’ eyes will all be fixed on the starting light gantry, where a sequence of five red lights is illuminated. When the red lights go out (after a random time delay over which the race controller has no control) the race is underway. To ensure fair play, each car is monitored electronically and any driver jumping the start is penalised.